Looking at this giant inflatable membrane structure, it is one of the largest outdoor tent we produce still now. 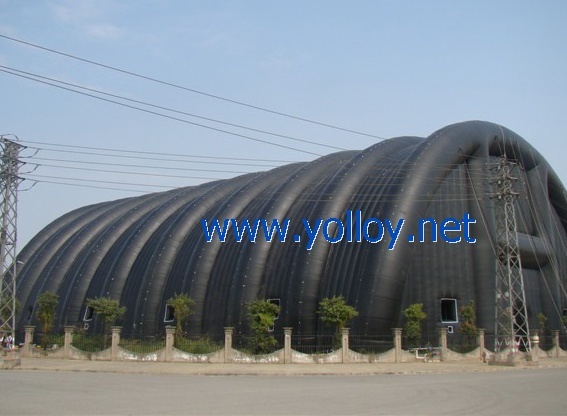 It is a portable inflatable building that can be used for most occasions. The size is 75L m x 50mW x25mH, the material is customized from Plato, It is waterproof, flame-retardant and uv-resistant.